Benny Gantz, leader of Blue and White party and PM Netanyahu's main rival in elections, calls to concede, congratulate PM on victory..
Benny Gantz, Chair of Blue and White, spoke on Friday with Israeli Prime Minister Binyamin Netanyahu, congratulating him on his victory in Tuesday's elections. Though initial results showed the Blue and White Likud parties tied with 35 seats each, later results gave Likud an extra seat. 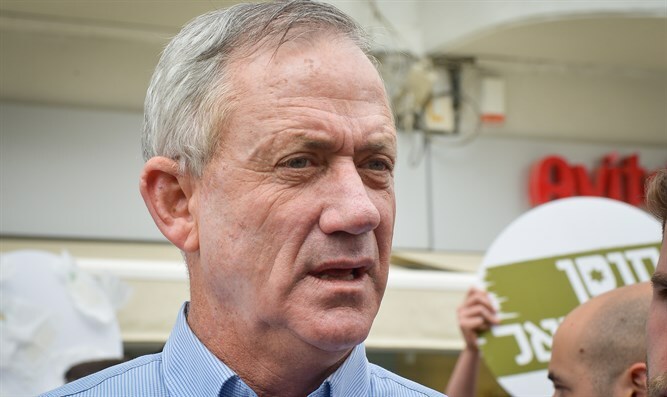 In his phone conversation with Netanyahu, Gantz said, "With all votes now counted and the final results in, I would like to congratulate you on your achievement in the elections." "We will continue serving the country's citizens. I wish you, your family, and all the people of Israel a happy holiday." Thanking Gantz, Netanyahu said, "Thank you, I wish you a happy holiday. We will return Israel to a state of calm, each of us from his position. Shabbat Shalom."